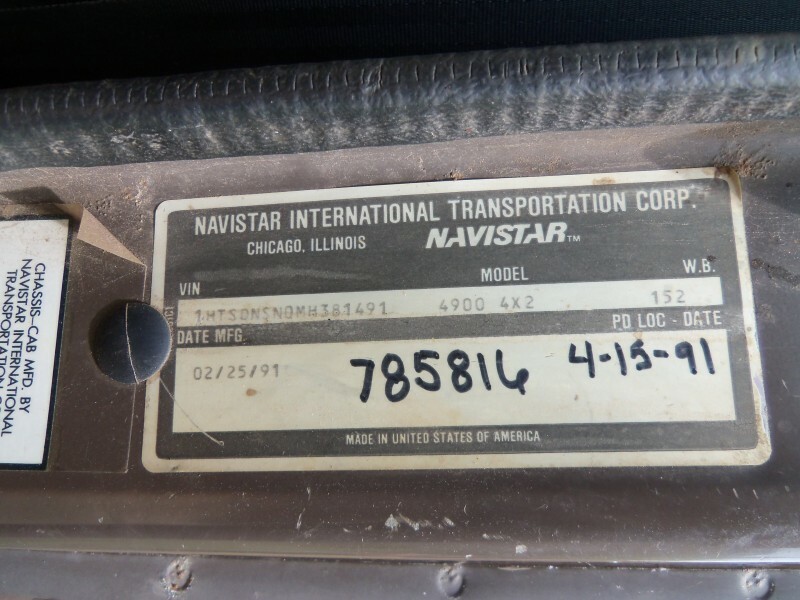 1991 International 4900 Dump Truck, 6 Cylinders, last known mileage 128,221, has a 7.6 liter, Engine, transmission, and brakes condition unknown and may or may not require replacements or major repairs. 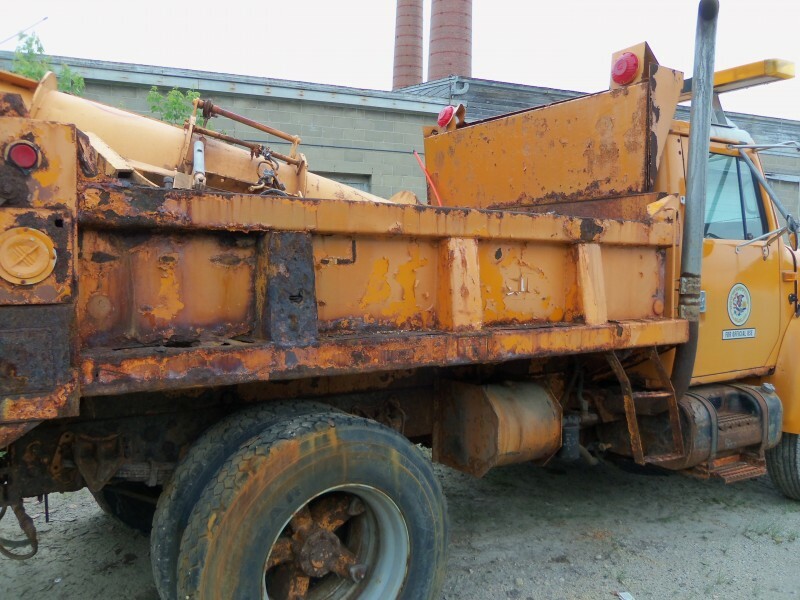 Major rust, truck was driven in for retirement. KNOW WHAT YOU AGREE TO! 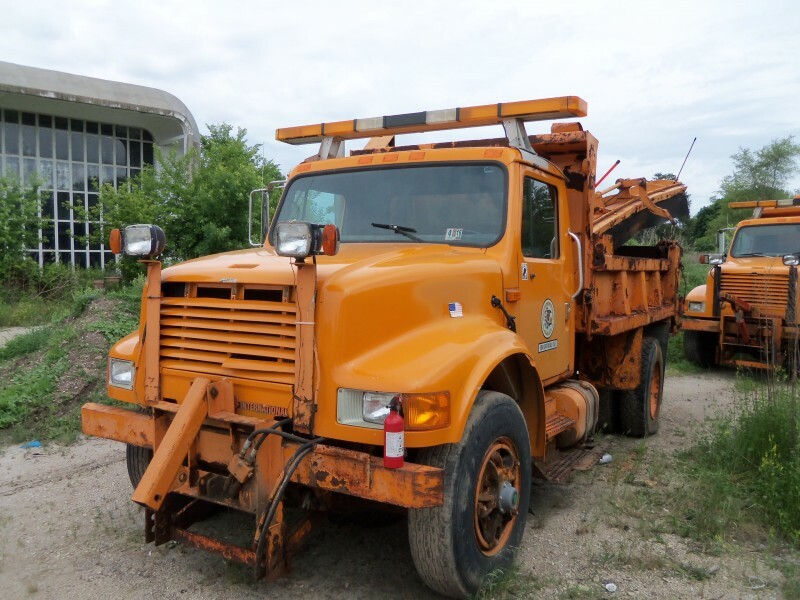 The Illinois Department of Central Management Services’ (CMS) Surplus Property Division accepts online bids for vehicles and equipment no longer needed and deemed surplus. The items may include, but may not be limited to, passenger cars, vans, and trucks; heavy-duty vans and trucks; and off-road equipment. 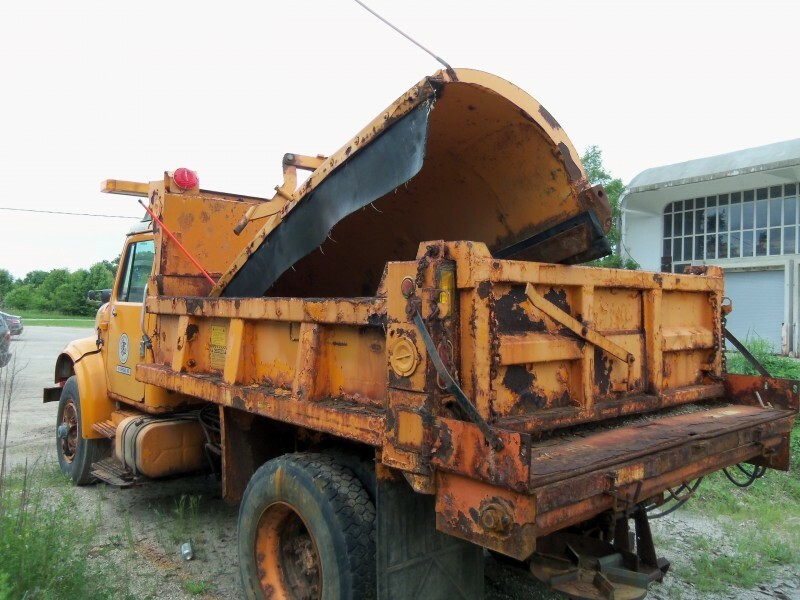 CMS Surplus Property has final decision on all awards for this sale. All property is offered and sold "as is, where is." Preview of equipment shall be at the discretion of the owning agency based on operations and/or other issues, and in many instances no preview is permitted. 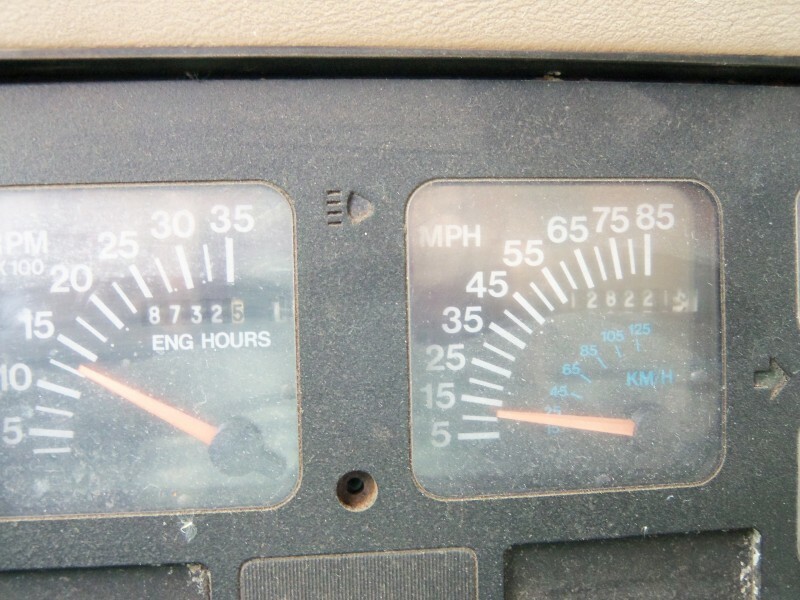 By State policy, equipment condition information is limited to basic information (runs, starts, etc.). No other information or reports will be made available concerning condition other than what is described for each item on the auction website. The Illinois Department of Central Management Services will allow preview of vehicles at the CMS Eligin Garage , 595 South State Elgin, Il. 60123 . Preview hours are by appointment only. Please call 847/931-2473 for an appointment. CMS further cautions Bidders that the State’s written description represents the State’s best effort to describe the item based on the information provided to it by the owning agency. Therefore, gross omissions regarding the functionality of equipment, failures to cite major missing parts, and/or restrictions with regards to usage may occur. CMS does not warrant the merchantability of the property or its purpose. The absence of any indicated deficiencies does not mean that none exists. Equipment is sold "as is, where is." No warranties are expressed or implied. The purchaser is not entitled to any payment for loss of profit or any other money damages - special, direct, indirect, or consequential. ALL SALES ARE FINAL! CMS has final decisions on all acceptable offers/bids. Any oral statement or representation by any representative of CMS, changing or supplementing the offering or contract or any condition thereof, is unauthorized and shall confer no right upon the purchaser. Further, no interpretation of any provision of the contract, including applicable performance requirements, shall be binding on the State of Illinois, its agencies, unless furnished or agreed to, in writing by the State of Illinois or its designated representative. It is the responsibility of the Bidder to follow-up on the status of his/her bid. When purchasing property for sale, funds or monies of the eligible Bidder should be readily available. CMS is not obligated to wait for eligible Bidders to arrange for financing, and such action, at the sole discretion of CMS, may result in termination of sale and award made to next eligible Bidder. To maximize the return to the taxpayers, the State will automatically extend the auction in 3-minute increments until one (1) clear uncontested winning is awarded. It is the policy of CMS to monitor bids and other activity. CMS reserves the right to reject any and all offers at its sole discretion. Offers can be rejected for any reason, or no reason, including without limitation for containing inaccurate, incomplete, or unverifiable information, or information which is deemed to have been given in bad faith. CMS monitors for suspicious activity and ineligible offers. Unusual offers of bad faith, offers from inactive or unknown parties or organizations are subject to investigation and cancelation at any time. If a posted offer is deemed unacceptable to CMS for any reason, the eligible Bidder with the next highest bid, who is in compliance with the online terms and conditions, will become the current high offer. It is a violation of law to submit offers using a false name or any other fraudulent information, and such offers may not be processed, even if CMS initially accepts your electronic offer. Be aware that if you provide false information, CMS will remove the fraudulent bid from the database and hereby reserves the right to pursue all legal means available to State of Illinois to prosecute. Successful bids by eligible Bidders will be notified by email, and the eligible Bidder must immediately, after the sale and upon receipt of the award email notification, pay for an item and call to schedule pick-up. Offers and results of sale will not be furnished via telephone or fax. Warning: CMS is not responsible for failures by your Internet Service Provider. If any emails are undeliverable and returned due to an inaccurate email address, CMS may remove such registrants from the database. It may be necessary to withdraw items from the sale due to public safety issues, emergencies, technical errors or uncontrollable circumstances. Sales may also be terminated because the property is no longer available due to State agency needs, property becomes damaged, property is stolen, or property was improperly described. Items may be reoffered at a later date at the discretion of the State. In the event any Bidder provides false information, bids using unacceptable/profane username, as determined by CMS in its sole discretion, or defaults for non-payment or non-removal, such Bidder lose all rights to place bids for other items for a one (1) year period. With regards to improper usernames, the Bidder will be contacted and asked to re-register using a more appropriate username, and the "offensively named" account will be blocked to prevent further use. Please be advised that items and equipment that are available in the sale are considered property of the State until such time as it is awarded by the State. As such, and prior to award, removal, and full possession of item/loss by the awarded surplus Bidder, this property may not be advertised, offered, pre-sold, or otherwise represented as the property for personal gain. Actions made in violations of this warning may result in legal action and prosecution against the awarded Bidder by CMS. CMS may mail the titles for sold vehicles to the buyer, or titles may be available to the buyer at the pick up location at the time of their pick up appointment, as determined by CMS DOV / License & Title. Note: Vehicles will not be released without a paid invoice (bill of sale), a valid copy of the winning bidders (Buyer) drivers license, (provided at time of sale or on file) and a properly prepared and executed "Power of Attorney" if the named Buyer is not the party that will be removing the vehicle.